Samuel Johnson once remarked that in metaphysical poetry “the most heterogeneous ideas are yoked by violence together.” Political Tribes is not metaphysical poetry, but it yokes together heterogeneous ideas. Four countries, Vietnam, Afghanistan, Iraq, and Venezuela, the victims of U. S. imperialism and militarism, are tied to three American pathologies: exceptionalism, inequality, and racism. What unifies the scattered elements of the book is the uninhibited conjugation of the word tribe. For Chua everything is tribal, be it ethnicity, religious sect, terror, race, or color. In Vietnam, the ethnic Chinese are tribal; in Afghanistan, the Pashtuns and Tajiks are tribal; in Iraq, Shia and Sunni are tribal; in Venezuela, “pigments” are tribal; in the United States, races are tribal. In this analysis, the homogenization of Sunnis into a single “political tribe” is counter-factual as is labeling tribes on the basis of pigmentation. Each human being carries a number of identities at the same time. An Iraqi, for example, could be a Kurd, Sunni, male, socialist, and “terrorist” fighting for the independence of Kurdistan. Shifting identities rather than rigid identities define human interconnectivity and political action. 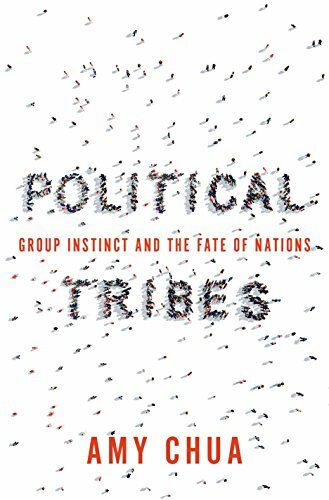 Throughout the book, Chua feels free to de-historicize the sociological concept of “tribe,” a people related by bloodlines. Chua uses the word tribe as a metaphor and tags it to every faction engaged in domestic or international conflicts. There is nothing wrong with using historical constructs as metaphors; however, Chua’s reductionist analysis of complex world events into “political tribes” does nothing to furnish instruction or insight. Furthermore, Chua fuses (confuses) identity with tribalism. Identities are natural, rational, and healthy, whereas tribalism, even in the modern psychological sense, connotes an irrational attachment to a group at the expense of others. Identity politics (women’s march) might be tolerable whereas tribal politics (Hutus and Tutsis) is not. Critiques and condemnation of tribalism do not automatically apply to identities. Of course, there is a gray area, as in everything, in which identity is inextricable from tribalism. The blurbs on the back cover of the book carry endorsements, including one by General David Petraeus, who superintended the U.S. invasions of Afghanistan and Iraq. General Petraeus is highly qualified to comment on the conflicts concerning these two countries. Surprisingly, his blurb says nothing about Chua’s tribalism autopsy of Afghanistan and Iraq. Ignoring these chapters, the blurb praises the book for its “significant implications” for achieving a “more perfect union” in the United States. The book lacks a central theme to interlace the eight chapters. Based on tabloid information gathered from various newspapers and websites, mixed with high-brow Stanford research done on “wine-tasters” and Yale research on “numeracy,” Chua makes a series of hackneyed assertions: economic inequality persists; Shias fight Sunnis; haves and have-nots think differently; Venezuela is color conscious; identity politics distorts reality. Chapter after chapter, the book is an assortment of clichés, though delivered fearlessly. Madison’s definition of factionalism is still a gold standard for explaining political conflicts even in the post-slavery United States, and the definition may be successfully projected to explain ethnic, sectarian, and pigmentation conflicts in Vietnam, Afghanistan, Iraq, and Venezuela, at least in the way Chua articulates these conflicts. Chua switches the phrase political factions with political tribes but fails to improve upon the observations made in The Federalist Papers. Seventy pages, roughly one-fourth of Chua’s book, consist of notes citing sources and authorities, but there is not a single reference to any discussion of political factions. The phrase political faction or the word faction does not even exist in the index. If “political tribes” are significantly different from political factions, Chua does not explain it. For indecipherable reasons, Chua peddles worn-out myths, such as that “America is a super-group—the only one among the major powers of the world. We have forged a national identity that transcends tribal politics . . .” Then, she rightfully laments that America is tribal, torn on racial lines, and divided between left wingers and right wingers. Then she prays for unity, emotionalizing generals like Petraeus. In her super-group analysis, Chua forgets to mention India, a major power and a super-group with more than a billion people, comprised of diverse races, religions, castes, pigments, and cultural histories. Unlike America, India recognizes 22 official languages. In fact, almost all nation-states are super-groups, including Britain, Russia, France, Italy. Pakistan is a super-group, a country of immigrants pouring in for thousands of years, settled in various parts with distinct languages and physical traits. The book offers no empirical or statistical analysis, nor does it rely on any field studies that the author has undertaken in the countries analyzed in the book. Despite 70 pages of notes, the book is not a research book, nor is it a literature review, something law professors do all the time to write lengthy law review articles. The book does have some strong points. The narrative is written in clear, candid, and sprightly language, easy to read and easier to digest. College students studying international relations and American racism will have little difficulty in comprehending its content, including the various loosely hanging threads of the book. The publisher has done a superb job in choosing high-quality paper, readable font, and typesetting.